I recently wrote a piece on the 7 Habits of Remarkably Authentic Brands where I discussed how brands can exhibit authenticity in a way that appeals to their consumers. But why is authenticity so important for brand marketing to begin with? And what do actual consumers say makes for an authentic brand? 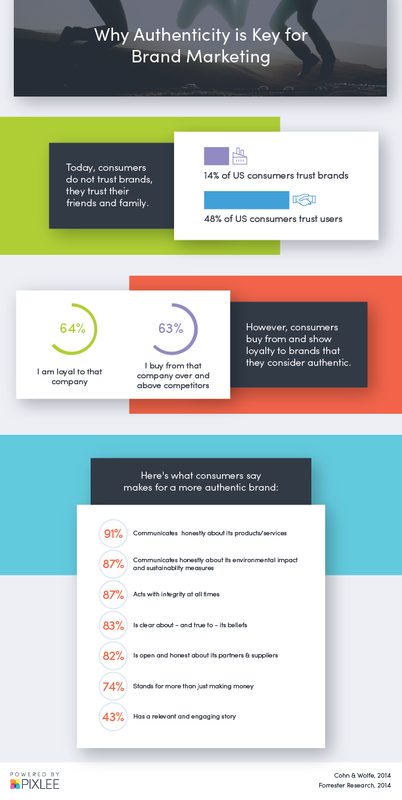 In the below infographic, we’ve compiled the statistics around brand authenticity that all marketers need to know.